We challenged our Twitter followers to guess 20 plots as told through a series of icons on #WorldEmojiDay. Love triangles, disguises, deaths: opera plots aren't renowned for their simplicity. The same can be said of a number of stories told through dance. To celebrate the art forms we know and love, we translated 20 well-known opera and ballet plots into a series of icons, as part of #WorldEmojiDay – a global celebration of pictographs. After all, opera and ballet have emotion at their core, so what better way to bring these stories to a new audience (as well as entertaining our existing followers) than through a series of lighthearted emoji riddles posted on social media? 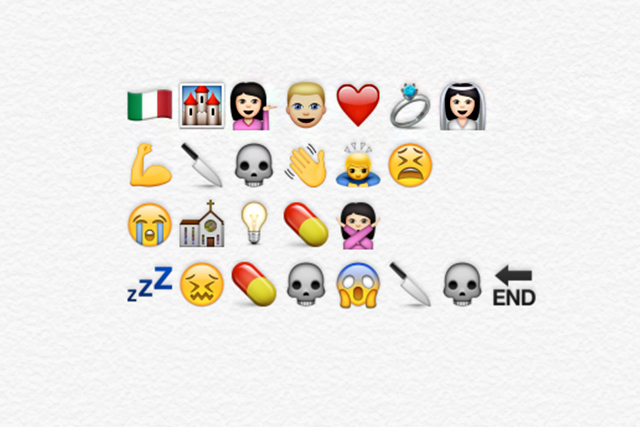 Can you guess the operas and ballets from the simplified plots below? We'll reveal the answers in the comments section below. 1. Guess the opera. RT and DM us your guess to enter the prize draw. 2. Guess the ballet. RT and DM us your guess to enter the prize draw. 3. Guess the opera. RT and DM us your guess to enter the prize draw. 4. Guess the ballet. RT and DM us your guess to enter the prize draw. 5. Guess the opera. RT and DM us your guess to enter the prize draw. 6. Guess the ballet. RT and DM us your guess to enter the prize draw. 7. Guess the opera. RT and DM us your guess to enter the prize draw. 8. Guess the ballet. RT and DM us your guess to enter the prize draw. 9. Guess the opera. RT and DM us your guess to enter the prize draw. 10. Guess the ballet. RT and DM us your guess to enter the prize draw. 11. Guess the opera. RT and DM us your guess to enter the prize draw. 12. Guess the ballet. RT and DM us your guess to enter the prize draw. 13. Guess the opera. RT and DM us your guess to enter the prize draw. 14. Guess the ballet. RT and DM us your guess to enter the prize draw. 15. Guess the opera. RT and DM us your guess to enter the prize draw. 16. Guess the ballet. RT and DM us your guess to enter the prize draw. 17. Guess the opera. RT and DM us your guess to enter the prize draw. 18. Guess the ballet. RT and DM us your guess to enter the prize draw. 20. Guess the opera. RT and DM us your guess to enter the prize draw. How many did you guess? Follow us on Twitter @RoyalOperaHouse and let us know. Fantastic. My favourite is The Sleeping Beauty.